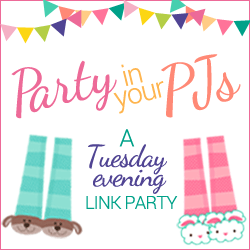 Welcome to Party in Your PJ’s! It’s hard to believe the month of February is gone already. I’m not complaining because I’m ready for warm weather, keyword being warm, not “hot”! We weathered the storm on Friday fairly well. Except for my having to run around the neighborhood in the freezing wind picking up pieces of our trash before I could leave for work Friday morning. My son’s house lost a few roofing tiles and he jumped right on getting those replaced because of a bad experience with missing tiles in the past. We have seen caravans of electric trucks heading north on I81 to help with getting the power back on for the hard-hit northern states. I hope it happens for them because another storm is headed their way. Do any of you live in the northeast where the “nor-easter” was especially rough? I read many great blog posts from last weeks party. It’s always hard for me to pick only two to feature! But, each of the hosts picks their own features so be sure and check out their blogs to see who they are featuring. 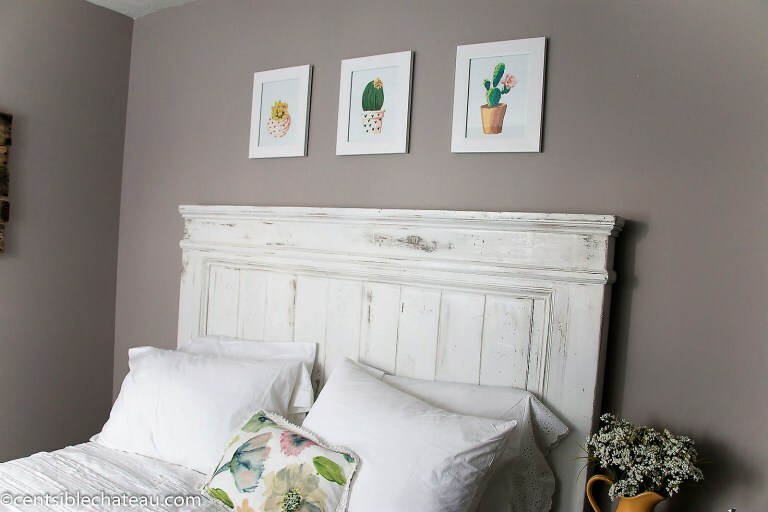 My first pick from last weeks party is Heather from Centsible Chateau and her post How to Build a Farmhouse Style Headboard. I just love the looks of this, it’s just my style! 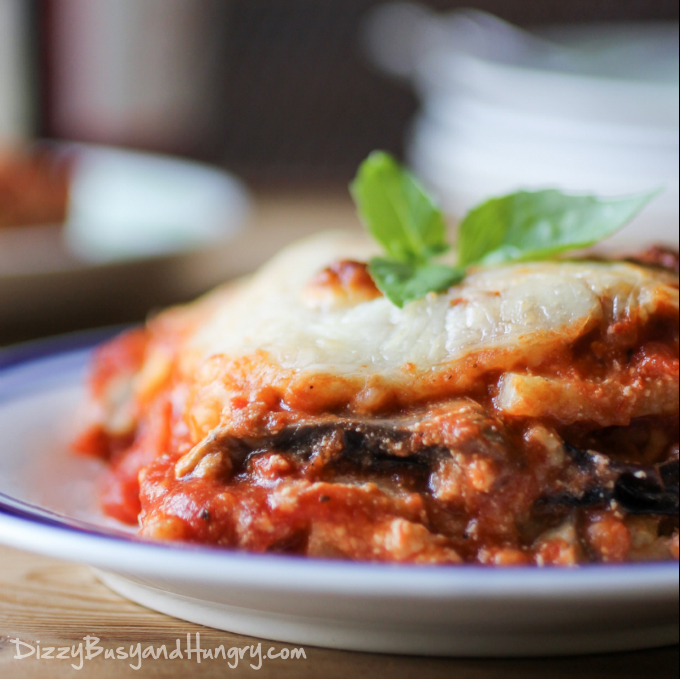 My second feature is Kristin from Dizzy, Busy & Hungry and her recipe for Eggplant Polenta Lasagna. Get ready to get hungry! Thank you, Heather and Kristin, for sharing your creativity with us! Please copy and paste this featured button to your website! Thank you Teresa for your 198th Party In Your PJ’s. Love joining in and visiting. I’m so happy to see you joining us each week! Thank you for stopping by and visiting. Thank you for linking up Marilyn! Thanks for the party, we are in the midst of another nor’easter and it is just coming down tonight! Glad to have your party to enjoy! I knew the northeast was going to get hit hard! What state are you in? Stay inside, safe and warm! Thank you for partying with us. Thanks for the party. I hope things warm up for you soon! Thanks Beverly, and thank you for linking up! Thank you for linking up Debbie!